In partnership with Kasian Architecture, Integral Lighting Design and Lumenpulse, CDm2 LIGHTWORKS helped provide and coordinate lighting equipment, commissioning and programming for a dynamic light show for the Canada 150+ Celebrations. 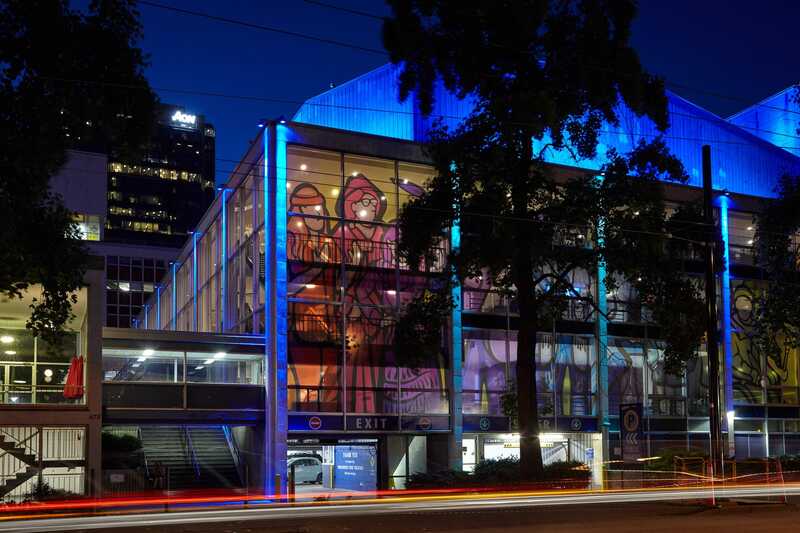 This light show was in conjunction with the Drum is Calling Festival (July 22-30), co-hosted and sponsored by the City of Vancouver and the Government of Canada. The light show ran for the duration of the Drum is Calling Festival, and was displayed at dusk on several facades adjacent to the festival site. The display incorporated various lighting effects, including colour-changing and visual video display.